When forming a business, there are important decisions that have to be made, decisions that will end up impacting you for years to come. If you’re starting a new dental practice, one such decision is the corporate structure. Should you start an S-corporation? A sole proprietorship? The chances are good that you won’t know the answer. In fact, you probably won’t even know the options. There are three primary structures that most dental practices look at. To be blunt, do not start a C-corp, unless you’re reading this blog in 1986. Decades ago there were tax loopholes that made C-corps beneficial to dentists. Those loopholes are now closed, and the corporate structure that was so popular in the 1980s has now basically died out. There’s no benefit to a C-corp today. If you’re an accountant, you likely see the sole proprietorship as the simplest choice. Unlike some other options, there’s only one source of taxed income, which means only one tax return. That’s good news for an accountant. But for a dentist, it’s bad news. Why is that? A sole proprietorship doesn’t allow for you to be paid in W-2 income. 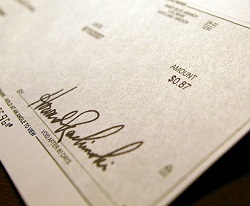 That’s the kind of paycheck you might give your employees, one where state and federal taxes are automatically withheld. Instead, all of your income comes from “distributions,” which are basically payments the business makes to the proprietor when deemed necessary. That can lead to problems. One is that if things aren’t going well, a dentist may not feel that he can afford to pay himself. That leads to dentists taking big chunks of money at irregular intervals, and possibly going months without getting paid. That’s really bad for home cash flow and causes a lot of stress around the house. Additionally, the fact that no taxes are withheld can hurt practice cash flow. Instead of paying a little every two weeks or so, a sole proprietor pays taxes all at once or on a quarterly basis. It’s extremely hard to plan for. If there’s as little as a 3-4% change in income or overhead, the tax owed can change drastically. Quarterly payment figures change rapidly and erratically, and if you (and your accountant) are not on top of it tax costs can balloon, up to $80,000 more than you expected. In the long run, this is the better choice for the dentist. In an S-corp, you still have the ability to take some of your income in the form of distributions, and that money is taxed the same as in a sole proprietorship. But you also take a frequent paycheck like a regular employee, and taxes can be withheld from that normally. It also gives the ability to invest in a 401k, rather than being restricted to a Simple IRA. All of this builds a base level of stability in your practice. Rather than 100% of your income fluctuating with changes in your practice, only a fraction of that volatility crosses over into your home. Rather than your whole tax bill being uncertain, only a fraction is paid on a quarterly basis, and the same amounts of fluctuation in income or overhead have less of an effect. On the other hand, an S-corporation does have one negative that the sole proprietorship lacks. An S-corp must suspend any losses for tax consideration until profits are recorded. The tax floor for an S-corp is $0; a sole proprietor has none. That means that if you have $80k in income but a $10k loss on the practice, an S-corp would be taxed for the full $80k where the sole proprietorship would be taxed only for the net of $70k. That money comes back later, but when you’re first starting out, sometimes that’s not what you want. But overall, Four Quadrants tends to advise our clients to form S-corporations. The benefits of stability in cash flow and home income outweigh any concerns about covering losses. And stability is a crucial part of the health of your finances, in the practice and at home.